but, what is putting butterflies in my stomach is Project Sewn! 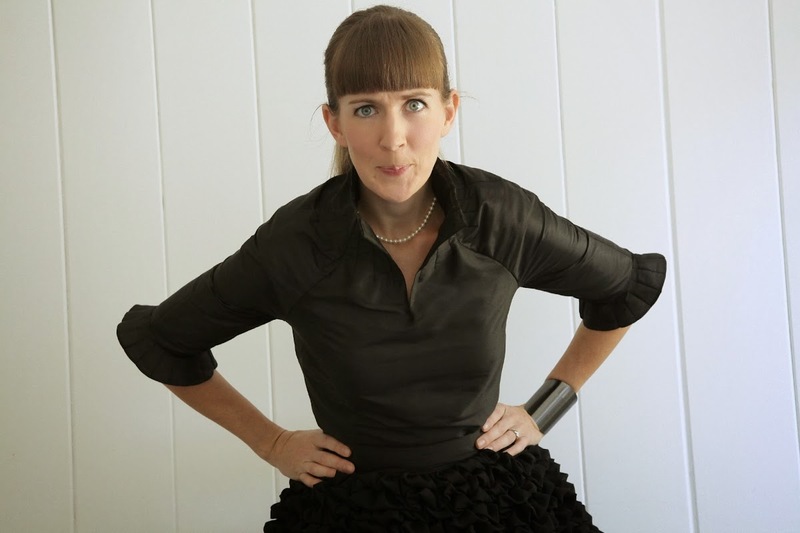 Project Sewn is akin to an online Project Runway. But, I don't have to leave my family for weeks, they get to live with scraps of fabric stuck to their feet and clipped threads in their hair as they shuffle out the door to go to school, and I get my wardrobe beefed up, which hasn't happened in quite sometime. And I'll tell you what, it's a lot easier to sew for kids. I've had to dust off my big girl sewing skills. There are four challenges and six contestants. Each week is a different theme that dictates our sewing path, and by our, I mean some insanely talented and amazingly beautiful women, thus the butterflies. Of course we were told months ago what the themes were so we could hypothetically work ahead, but where is the excitement in that? I sent my post in yesterday on the exact minute of the deadline. You can call me a lot of things, but you can't call me imprecise. This is me, sewing in real time. I'm sure I'll be editing the bags under my eyes. Little Black Dress was the theme for this week. I've never owned a little black dress, but if you like to accessorize like I do, this is your dream! I could have played dress-up all day, except I was interrupted by my alarm, telling me that it was time to pick up the kids from school. But, I haven't tried it on with those shoes or that necklace yet! It's actually not a dress, but a skirt and top. I rarely wear dresses, and wanted to make something that would be useful and worn more than once. I thought making the skirt gave me fits, but that's before I made the top. Boy, oh, boy. That naughty top. I know you're never supposed to go to bed angry, but I did. I had visions in my head of what I wanted it to look like (darn those visions) and it was just so long in coming. The sleeves didn't fit right, the neck was too wide and sewing at midnight, it's really hard to find someone to help pin it on me so I know what to sew! But, it fiiiiiinally came together and I actually have a reason to wear it next month, so I'm grateful it didn't send me to my early grave. So?! What are you still doing here?! Go over to see all the amazing designs submitted and vote for your favoritist! ps a special thanks to my Pearlie girl for photographing on her "sick day." Just gorgeous! I feel sure you will win this round. The orange flower is the perfect accessory. So beautiful! You and the clothes. Good luck!!! Wow, it's stunning! That skirt is a showstopper!! This dress is stunning! WOW! WOW!!!!!!!!!! I am in LOVE with this!! I want this for me sooo bad!!! I LOVE it with the grey sash and teal shoes! OMG! In LOVE with this!! E is for EXQUISITE! To what soiree do you get to wear it? FREE! it was free two birds with one hand. phew, glad i remembered that! wait wait wait, so hopefully someone besides me wants to know - DID YOU WEAR THIS TO PICK UP THE KIDS??! because that would've been amazing. Epic even. I LOVE U. That's all I can say before I turn off my computer and cook lunch for my son who comes home for lunch everyday. This is a fabulous outfit! 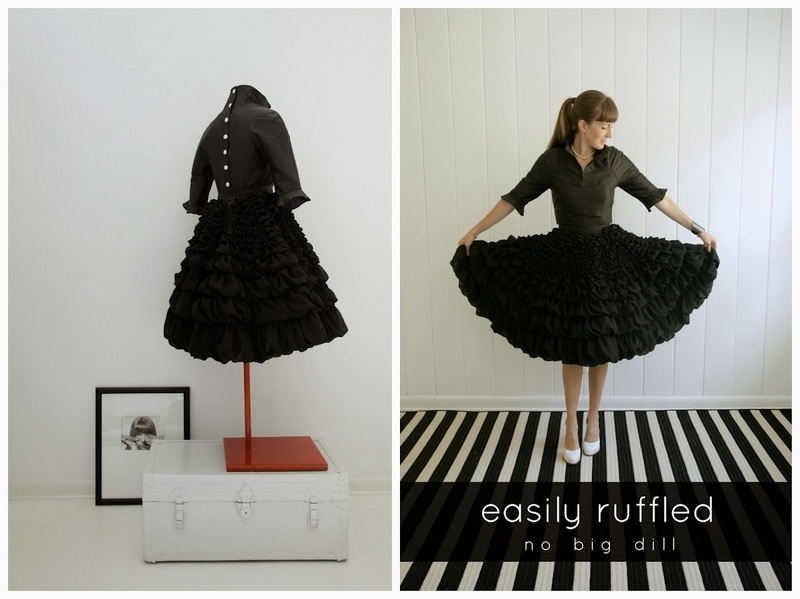 I love that you made all those ruffles look appropriate for a woman. I'm sure you'll have lots of fun accessorizing this for years! Stunning! Not only is your dress gorgeous but it's also the most beautiful - don't tell the other contestants :) Good luck! You have my vote. Wow! I love it and I've already voted for you. Julia Bobbin's dress is beautiful but yours is YOU! Love it, love it, love it. voted before turning off the computer! you will be the winner for sure! Ack! So excited for you! You are amazing! I remember chatting years ago about you challenging yourself on Project Runway. What a great outlet this contest provides for you instead. Best of luck to you! You totally deserve to win! Oh My GOSH!!! That is beautiful!! You have my vote!!!! You are ahead by a landslide. Is it any surprise? I love your creativity!! Wow...just wow. You've got my vote and just about everyone else's by the looks of it. Oh, my heavens to Betsy! What a fantastic creation! 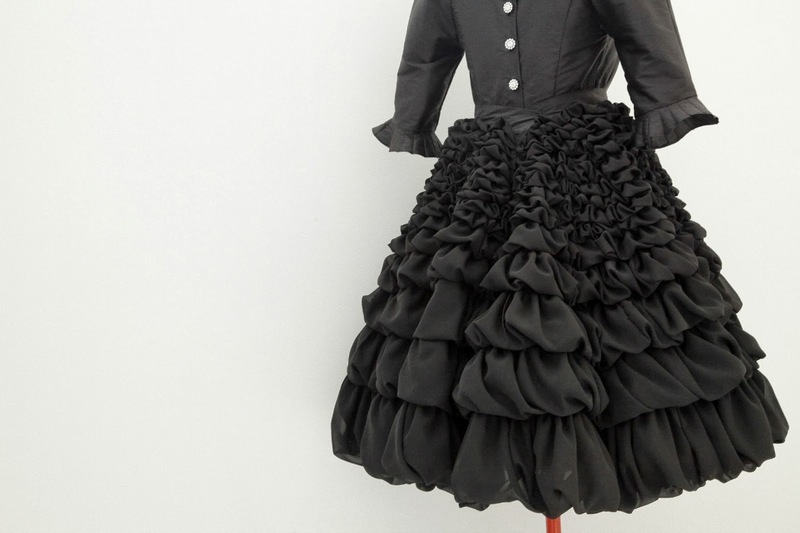 The ruffles are simply glorious and the back buttons are such a nice detail. Amazing! My husband kept asking me "how long have you known about this" as I was FRANTICALLY sewing last week. I agree it's more fun this way. Oh WOW! 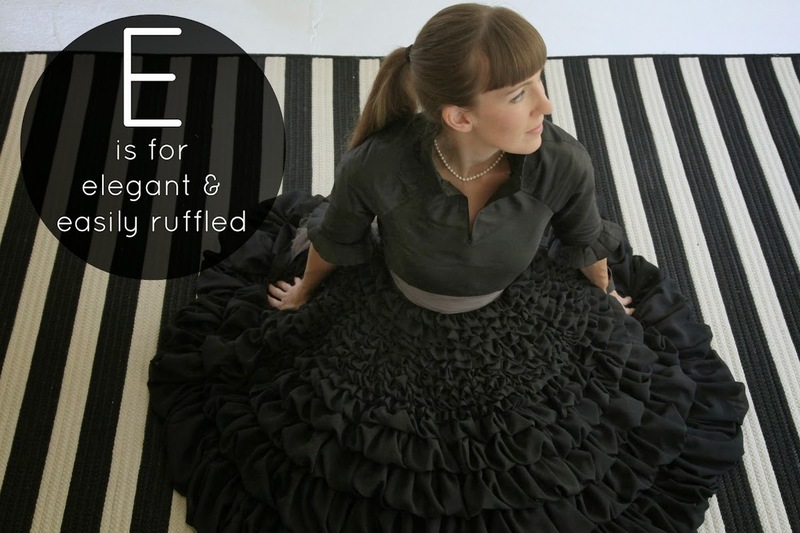 16 yards of fabric makes for one twirl worthy skirt. Very pretty, and you are looking ready for your solo! Beautifully styled and photographed as well. Wow! So pretty. You are a talented woman! All the entries are great, but yours is my favorite. Oh I absolutely love your dress and your styling! Everything fits so perfectly and it looks like it belongs in a movie! Love that you're modeling it with two different types of shoes; a woman after my own heart! I too tend to leave things to the last minute, but I find I get more inspiration when I'm under pressure. Congratulations on such a fabulous outfit! So gorgeous Katy! You're incredible! Someday you will have to show us how you did the ruffles. I love this w the gray belt. You are absolutely beautiful, the outfit is really classy, like Grace Kelly classy and you are one dynamite seamstress!! WOW! That is so gorgeous and you look amazing!!!! Beautiful, Katy! You are such an artist, in so many areas of your life! I love it! What a perfect outfit Katy! 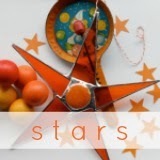 I'm so glad you're in this competition b/c it's so fun to see creations for you! Just wow...you do this thing so well. 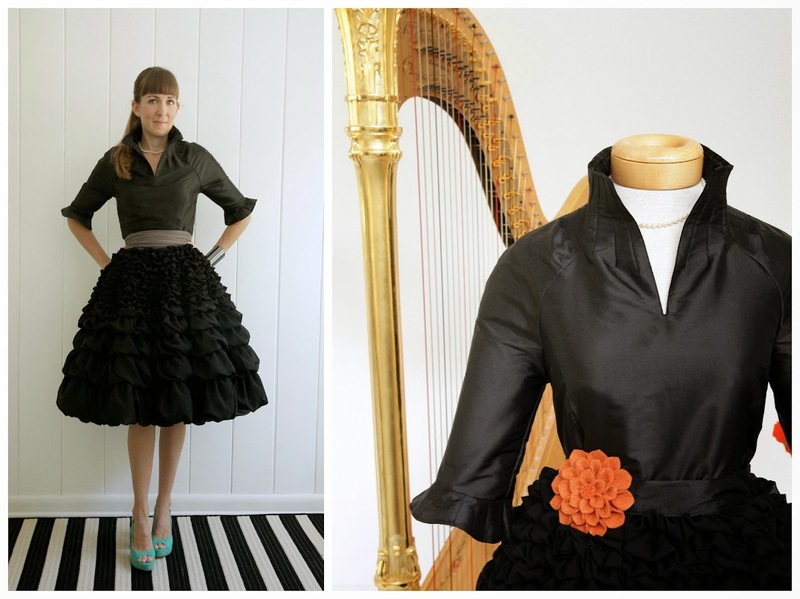 The skirt is stunning and dramatic but the top is so structured and beautiful, it's got a really perfect balance going. Wonderfully done. I adore this and you! Those collar darts. Woweee. Amazing! This is glorious! So beautiful on you! Its so gorgeous! Please please tell how you made that skirt! Wow! You. Are. Amazing! The outfit is stunning and you look just gorgeous. You have my vote and my admiration! that is gorgeous. great job! now i have to go vote. I'd love some details about the sewing methods you used to make this- it looks amazing! Can I ask what pattern you used for your top? Or did you draft your own? The top began from a mandarin style coat (NewLook 6519). I changed the opening to the back, brought up the collar and added about 20 darts to create the upward collar, shortened the sleeves, added a "ruffle" just made out of tucks to mimic the collar and obviously shortened it to a blouse length. Did you have a pattern for that skirt? Doubt you had time to do a tutorial, but any suggestions if I wanted to try it myself? Absolutely wonderful! DO you have a general list of steps for this skirt? it is amazing!!!!! I would love to make it in time for the October Dress Project because it would be so easy to accesorize.